In August 2016 we put that question to you! Throughout the month, we conducted a consumer survey to find how the best bud, flowers & concentrates are created in Colorado. The people have spoken. Based on this consumer input, we targeted and interviewed the most highly acclaimed companies to acquire the magic formula. 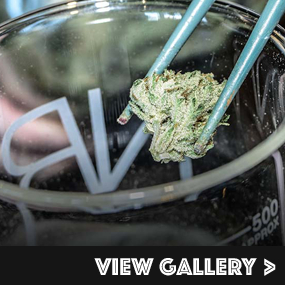 How do they create the Best of the Best cannabis products, from bud, to concentrates and flower? Here are your top picks in alphabetical order! 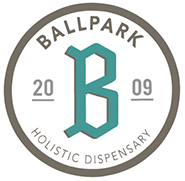 Ballpark Holistic Dispensary opened its doors in April 2009 and became the third Medical Marijuana dispensary to open in Colorado. Located in downtown Denver, within walking distance of Coors Field, Ballpark Holistic is your one stop source for Denver's premier Medical and Recreational strains. Our entire team has a true passion for cannabis and we pride ourselves on delivering the best possible experience for our customers by providing a fun, comfortable environment with knowledgeable budtenders who will ensure 100% satisfaction. In addition to our exceptional strains, we offer a wide variety of edibles, concentrates and daily deals. One location at 2119 Larimer Street #1, Denver, CO 80205 - 1-1/2 blocks west of Coors Field. Unarguably the best location in the state. How did your head grower learn to grow high quality cannabis? As a Colorado native, our Master Grower Mike Ginevicz, learned to grow cannabis under an apprenticeship 16 years ago. 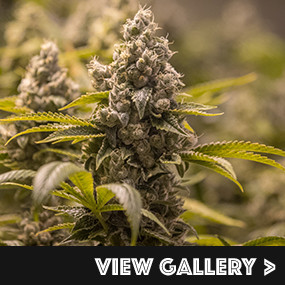 Mike perfected his trade working as a medical caregiver growing many different strains in both Colorado and California. In 2010, Mike accepted the master grower position with Ballpark Holistic and is responsible for cultivating our own genetic cross strain, "Denver Maple". Mike's biggest secret to growing Cannabis Cup Winning cannabis is care. 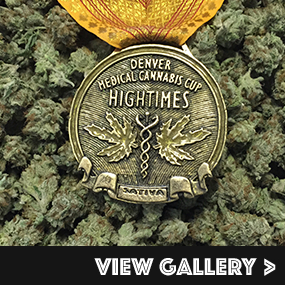 In 2014, we were awarded 3rd Place at the 2014 High Times Cannabis Cup for the best Indica with Denver Maple. How do you grow your cannabis flower? Is there any unique element to your method (Soil medium, nutrients, type of lights)? We pride ourselves on having some of the best phenotypes of medical genetics and some exotic recreational genetics. Every genetic has its own very different unique growing needs. Mike understands each and every one of our genetics and its needs. For each genetic, we have very detailed organic care instructions for cropping, feeding, trimming, curing, and other requirements. When cared for properly and done exactly as we have charted, our plants produce near perfect specimens of their genetic. We credit our entire grow team for loving what they do and always striving for perfection. That makes us the best in the industry. How do you choose which strains to grow? How many strains do you grow at 1 time? We are well known for our flower, so we push the limits trying to find the next great strain. We first focus on the full spectrum of genetics to provide strain variety and then do a lot of research and development. Typically, this takes 9 months to a year for each phenotype so it is is an ongoing, perpetual process. Only 20% of the phenotypes that go into research and development make it to genetic selection and then only 30% of our new genetics actually go into production. We typically have 50-60 strains growing within R&D and 35 strains in production at all times. What is your most popular strain in terms of sales? Our most popular strain is "Denver Maple". We earned 3rd place in the 2014 High Times Cannabis Cup "Indica" for Denver Maple and when its available, it typically only lasts on the shelves for a few hours. Our Sour Diesel, Dark Star, and Blue Dream are huge local favorites and almost always available. We have a few new strains that come to production each month. Have you won any awards? If so, please name them. 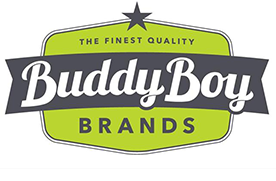 2014 High Times Cannabis Cup 3rd place Indica "Denver Maple"
Cannabis Business Awards "2014-2015 Colorado Top 5 Dispensaries"
2015 Munchies Cup "Best Recreational Edibles Dispensary"
Buddy Boy Brands has been serving medical patients since 2014 and recreational shoppers since 2015. We currently have seven locations, all in the city of Denver. Of those seven, one serves medical patients and recreational shoppers, and we are excited about our second store coming soon that will do the same. Seven locations, all in the Denver area. How did your head grower learn to grow high quality cannabis? Timothy Nolan, head grower at our York facility, primarily on the job & I [Chris Henton] have been growing for medical patients commercially since 2009. We grow our cannabis in coco coir using a proprietary fertilizer blend that is formulated specifically for cannabis. Our focus on the small details is what separates us from other growers. At this facility [York] we have 32 genetics being grown currently. 16 are in heavy production currently and the other 16 are being trialed to see if we want to bring them into heavier production. That decision is made based on patient feedback as well as testing for potency and certain cannabinoid profiles. Typically, across the board, our White 99 sells very well. Not too far behind that may be our Primus. Do you have a favorite strain to grow? I always enjoy growing Durban Poison. We have not yet participated in any events , so currently, no. We started with a small medical dispensary to grow for our friends and family. It turns out we had a lot more friends than we thought as we grew exponentially since its inception. This fall, we celebrate our seven year anniversary, proudly growing top shelf cannabis at an affordable price. As one of the early license holders in Colorado, we walk as an industry leader with confidence of a bright future. We have one location in North Park Hill, just east of Park Hill golf course. This one building encompasses four business licenses, two grow licenses and two store license, medical and adult use. We consider ourselves a boutique shop, tier one grow facility, growing fewer than 1800 plants. Our head grower is what you call a cannabis refugee. He relocated to Colorado having a medical need and seeing benefit from cannabis. He had a dream of growing fine cannabis in the Colorado market. After working a number of positions and production grow facilities, he found himself at Dank quickly moving through the ranks. We saw the keeping kind mentality inside of Jeremy Kraus, and rewarded him with grow manager responsibilities in 2015. But it wasn't without significant effort and time from the entire staff that yield such a quality product. We tend to utilize tried and true methods of growing, producing, harvesting and selling cannabis product. With increased regulations and prohibited means of pest management, we tend to place emphasis on our staff spending more time in the garden. We use bamboo staking for support, hand watering techniques, safe pest management plans, and continue to educate our staff to put everyone in a high level of technique in the garden. We are proud to report that DANK harvest's continually exceed expectations in yield and potency, achieving as much as 2.5 pounds a light with THC levels high in the 20-30% range. At Dank, we grow in the neighborhood of 30 strains of top quality cannabis. Within each flowering block we will generally have about six strains, allowing for a nice strain variety at the Bud bar. Strains are selected with production, quality, and seasonal interest in mind. We are proud to say that most strains at Dank test well over 20% THC, and are blessed with great genetics. To keep things fresh we have a commitment to our customers to continue pursuing new strains each year, allowing for a fresh look on the shelf with each visit at the Bud bar. We have nine strains of cannabis to choose from and place them on three shelves for product diversity, including house shelf, bombshell, and VIP shelf. We have more than 100 menu items, satisfying our sophisticated customers with a wide selection of flower, concentrates, infused products, and topicals. There are certain strains that, when available, people come out of the woodwork to obtain. This includes Space Queen, Death Star, and the classic Blue Dream. While these are popular strains to smoke, they are not the best to grow. 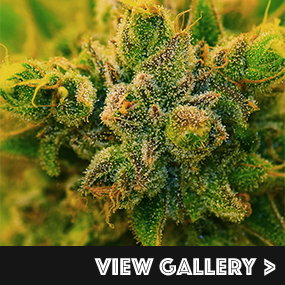 These particular strains are challenging with layers of leaves infused between the buds, making them difficult to trim and increase the possibility for harboring problems. During certain times of the year we may not grow them at all. We've also gone so far as DNA certification for these strains. This ensures that the Bud is in fact what we say it is, and identifies it as genetically unique. So far we feel that the pay to play contests that are in the market today are just that. Since day one, we have focused on the top shelf bud to satisfy our selective customers and patients, not the panel of judges. Because of that we have a strong and loyal following from customers across the nation. At Dank our mission is to provide affordable cannabis while creating a personal relationship with our customers. We are proud to say that keeping kind is not just a tagline, it's a way of life. Good Chemistry Nurseries is a leading producer and provider of the finest cannabis products and related retail services, and is committed to making life better for people through the growth, production, and use of Cannabis. Good Chemistry Denver opened in 2010 and Good Chemistry Aurora opened in April 2015. The Good Chemistry Aurora location opened with the pioneering category system, which helps customers navigate levels of lift available from the diverse range of cannabis, and have the confidence to explore the wide range of experiences and benefits offered by this remarkable family of plants. The sleek, state-of-the-art retail space has been described as a cross between an Apple store and Whole Foods. Good Chemistry Nurseries produces an award-winning lineup of medical and recreational marijuana products through one of the nation's most sophisticated nursery programs, with grow operations in Colorado and Nevada that produce world-class products at the highest levels of quality, reliability and consistency. Good Chemistry has two dispensary locations, one in Denver (330 E Colfax Ave, Denver, CO 80203) and one in Aurora (16840 E Iliff Ave, Aurora, CO 80013). Good Chemistry Nurseries produces Cannabis for the Colorado market, and our Nevada nursery will be online soon. Founder Matthew Huron began growing Cannabis in 1996, when his father and his father's partner were diagnosed with HIV/AIDS. In 1996, when medical marijuana became available in California, he saw firsthand the symptomatic relief patients experienced from this alternative medical treatment. In 2000, he began growing medical marijuana for AIDS patients throughout the state, founding and operating a nonprofit medical marijuana co-op. Like most great cultivators, experience - good and bad - is the best teacher. Matthew honed his skills by respecting and learning about this remarkable plant, being bold with innovation and, building upon his experience, always being open to new ways to grow more efficiently and productively. Chief Production Officer Duncan Cameron is a master cultivator in the cannabis industry who learned to grow high quality cannabis through his experience in plant husbandry and advanced propagation techniques. He significantly reduced time to harvest at Good Chemistry, increased the available gene pool from six to more than 70 strains, refined integrated pest management as it pertains to cannabis and optimized the indoor cultivation environment. He served as project manager for all of Good Chemistry's nursery expansions. We believe the success of our company rides largely on our ability to continue producing the finest Cannabis. As such, we don't want to reveal too much about the methods that have helped us grow our award-winning product. Simply put, our secret cultivation weapon is experience. Our cultivation team has the most in the industry and that remains the most crucial element in the production our award-winning flower. Good Chemistry Nurseries chooses its strains based on employee and customer feedback. We grow over 70 strains in our state-of-the-art nurseries. 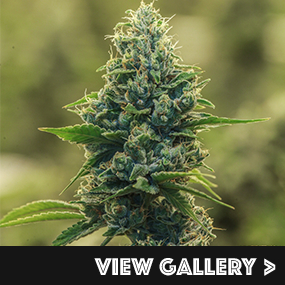 Good Chemistry grows two exclusive strains: Ingrid and Mr. Good Chem. 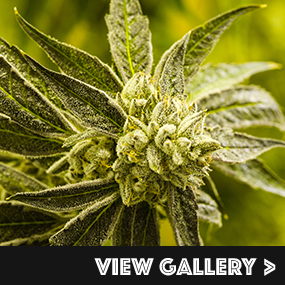 Our most popular strains are Sour Diesel, Blue Dream, OGer and Durban Poison. Founder & CEO Matthew Huron was honored with a 2016 Ally Award for his work to advance equality for LGBTQ Coloradans and their families: One Colorado's 2016 Ally Awards. 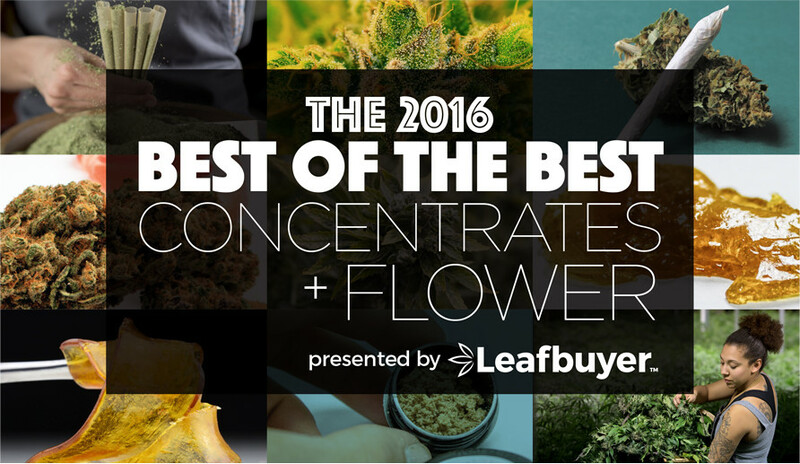 Westword Best of Denver 2016 - Best Dispensary for a "Newb"
Westword, The Ten Best Marijuana Strains of 2015 - Ingrid, Good Chemistry's exclusive strain. HIGH TIMES: Earth's Strongest Strains 2012 Good Chemistry's Blue Dream. Our founder, Matthew Huron, was included in the 2016 Leafbuyer Power List of the Top Business Leaders in the Colorado Cannabis Industry. Founded in 2009, Good Meds was grown out of a desire to improve the lives of patients by offering affordable access to high-quality cannabis. It has been built on the philosophy of delivering a first class product and experience while operating efficiently and creatively. 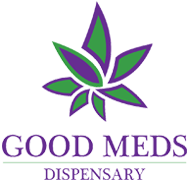 Good Meds offers Denver's best medical marijuana with a variety of options for patients to find relief. One key to the success of Good Meds is their library of elite, rare and potent genetics. The highly skilled and knowledgeable staff is the other reason for Good Med's success. Our Head Grower, Keenan Brown, received his Bachelor's Degree from Colorado State University with a concentration in Food Crop Production, then acquired 7 years of retail experience in Hydroponic equipment sales and distribution. We choose out strains based on the customer feedback at our shops. We're here to grow what our customers enjoy. We have a strain master list of 100+ strains but have narrowed our production strains down to 30 or so varieties that we have found to do best for us here at the cultivation center as well as our shops. 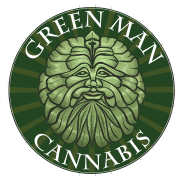 Founded in 2009, Green Man Cannabis is Colorado's premiere brand of marijuana. We strive to achieve the highest levels of quality, selection, and customer service at competitive prices. As firm believers in the medical benefits of cannabis, we employ people of like mind who strive to educate others on the numerous benefits and applications of this medicine. Our head grower learned to grow high quality through many years of trial and error, the help of great crews and the never ending quest for improvement. We use a mix of peat and coco with a hybrid nutrient regimen utilizing various types and brands of hid lighting. We choose our strains very selectively for potency,terpene content and overall aesthetics. We grow up to 30 strains at any given time. We have 6 Greenman grown Cannabis cup winners in our library. Our most popular strains are Skunkberry, Hells OG,Starkiller, Louie 13, and Ghost Train Haze. 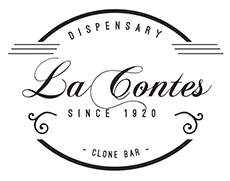 La Conte's Clone Bar + Dispensary opened a Medical Marijuana Dispensary in February of 2010 at our Denver North location, 5194 Washington St. We kept the name La Conte's which has been a bar at this location since 1920 and served as a Speakeasy during Prohibition. We remodeled the store with those roots in mind and it remains a bar that serves the locals. Over the years, we expanded to include a second medical location downtown at 105 E 7th Ave, added recreational at North and eventually added recreational to our downtown location as well for a total of 4 stores at 2 locations. Our head grower learned to grow our high quality cannabis through years of trial and error consulting with other experienced growers along the way. We grow with simplicity using quality nutrients, quality growing medium, good lighting and environmental controls. A lot of demanding and often repetitive work from our grow technicians! They should get the most credit. In a commercial setting, we like a manageable strain with minimal stretching, a high yield, and dense flower - a plant that can be easily worked to reduce larf. We currently grow 15 - 20 strains. Our most popular strain is Honey Bunny. We took 2nd Place at the Denver Cannabis Cup for ChemCrush in 2012. Lightshade was established in 2011 when they opened their first store at 3950 Holly Street in Denver. Lightshade has since grown to 6 convenient locations across the Denver metro area and Aurora to better serve their customers. Lightshade is owned by 3 former home builders who have a passion for creating a warm, welcoming environment for customers to feel at ease when shopping at their stores. Lightshade is keenly focused on customer service and requires extensive training by all of its budtenders. 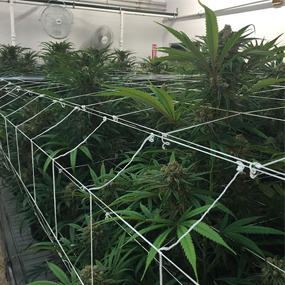 In addition to their retail stores, Lightshade has a reputation for growing the best quality genetics in Colorado at its several state-of-the-art cultivation facilities. Each of their stores include a huge selection of marijuana products including flower, edibles, tinctures, topicals and merchandise. Visit Lightshade today to see why the difference is night and day. Lightshade Labs contracts the services of a cultivation management company, MJardin, to grow our cannabis. MJardin takes away the "master grower" mentality, instead focusing more on science-based practices that are easily replicable so that there is not one single point of failure in a cultivation facility. They use cultivation techniques and proven standard operating procedures (SOPs) that focus on efficiencies and plant health care. This way, Lightshade can focus on the needs of their patients and customers while MJardin focuses on the cultivation. MJardin uses proprietary practices using the latest growing technologies and systems. Achieving the optimal cultivation environment (including fertigation, lighting, and Integrated Pest Management) is crucial in being able to consistently produce high quality cannabis. MJardin works with Lightshade Labs for a strain profile that is most appropriate based on growing characteristics and the desired traits (i.e. aroma, THC content, etc.) that Lightshade's customers want. Our top varieties are White Dawg, Bruce Banner, and Sour Diesel. White Dawg is definitely what sells the quickest! Westword "Best Bang for Your Buck"
Leafly Top 10 List- all stores have made every list for the past 12 months. Lightshade owner Steve Brooks was included in the 2016 Leafbuyer Power List of the Top Business Leaders in the Colorado Cannabis Industry. LivWell Enlightened Health has provided its patients, and later recreational customers, with high quality cannabis products since opening our first medical-only dispensary in 2009. Through both acquisition and organic expansion, LivWell has grown with the industry over the past 7 years, with two primary production facilities and nearly 600 full-time employees. Throughout it all we have maintained our focus on offering consumers the best retail shopping experience possible. We own every step of the process that puts the finest cannabis on our shelves. From our grow, where our farmers hand-cultivate our cannabis to exacting standards; to our kitchen, where our chefs and chocolatiers craft delicious infused products; and to our retail stores, where our friendly and knowledgeable budtenders help our customers find the perfect products for every taste and preference; we emphasize quality throughout every aspect our business. LivWell has 14 locations throughout Colorado. At LivWell we do not have a head grower. Our production facility is run according to standard operating procedures developed based on the efforts of our dedicated research and development team, which includes Ph.D.'s, scientists, and innovators from multiple disciplines. We have found that a scientific approach to cultivation is the best way of ensuring consistently high quality cannabis for our patients and customers. Our cannabis is grown hydroponically indoors using inert growth media and computer-controlled drip irrigation lines that deliver unique feed mixes to each plant based on its genetics and stage of development. We utilize a combination of traditional high-pressure sodium bulbs as well as cutting-edge LED lighting technology, which can be fine tuned to provide the plants with the exact spectrum of light needed to maximize healthy growth. We operate two separate facilities; one that serves as our primary production center and one that functions as a research and development garden where we experiment on new genetics, cultivation techniques, and growing technologies. Due to the volume of cannabis we produce, strains are developed not just for their potency, aroma, and effect, but also for their ability to withstand the rigors of commercial-scale production. We grow roughly 20-30 strains at any given time, with the majority used for commercial production and the remainder for R&D purposes. Our most popular strain for both consumers and for our farmers is El Diablo. El Diablo is a heavy hitting Indica. 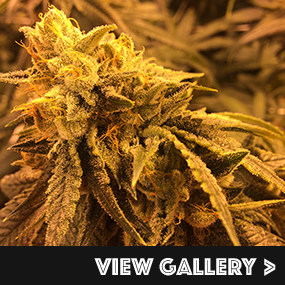 A very complex OG kush flavor with earthy, lemon, pine sol, and funk, El Diablo has tight, dense OG buds with exceptional trichome coverage and produces a long lasting, powerful high. Last year we won two awards from the CannAwards: one for best new product (ChemDawg #4 x Alien OG) and one for most innovative service (our corporate intranet, which facilitates communication across the company and serves as a repository for educational materials for our retail staff). Our owner, John Lord, was awarded the MVP award at the Cannabis Business Awards last year. Mike Lord, the Director of Business Development, was #1 in the 2016 Leafbuyer Power List of the Top Business Leaders in the Colorado Cannabis Industry. Mindful is a lifestyle company that sells the highest quality handcrafted cannabis to our patients and customers because that is the mindful thing to do. 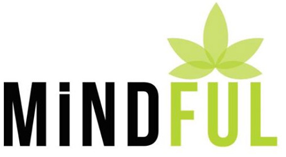 Founded in late 2009, Mindful has been one of the cannabis pioneers in Colorado and nationally, fighting across the country to ensure safe access for patients and proving that you can do well by doing good. We have mindfully tried to enhance the total human experience by working to change the face of cannabis and be more accessible for everyone and a product and medicine to be counted on. To that end, we have just opened a state-of-the-art 29,000 square foot extraction facility to continue to produce the absolute best TR Concentrates, contract oil extraction, research and development and productization. We have five dispensaries in Colorado and one in Illinois and have grown into one of the most recognizable brands in Cannabis. We at Mindful have chosen to forego the old status quo of a "head grower" and instead focus on our grow TEAM. Bringing together the years of experience and diverse growing backgrounds of all of our team is a more mindful approach. We have created optimum environments at our grow facility, using a proprietary coco core mixture, engineered rooms, nutrient mixtures and mindful employees. The most important part of our grow success is our data; we collect millions of data points on our plants and our facilities from seed to final product. Our genetic bank is deep. We boast over 300 strains and create new ones and bring others online constantly. Mindful chooses its strains to grow based on keeping a variety of cannabis in stock at all times at our dispensaries, with constant customer and employee feedback. We also keep a very close eye on the overall market and trends to be sure we are bringing our customers the strains that they know and can count on as well as providing a variety and introducing them to new varieties as well. Medicine Man is a family operation founded in 2009, by brothers Andy & Pete Williams, we opened our first medical dispensary in 2010 and have since opened two more successful retail dispensaries, one in Denver, and the other in Aurora. Medicine Man has built a strong foundation of excellence and innovation based on the values that have propelled our company and brand to the forefront of the marijuana industry - safety, family, quality, compliance, advocacy, and customer satisfaction. Pete Williams is our Chief Grow Officer, and the remainder of our cultivators operate as a team to execute our state-of-the-art growing techniques. Our growers are some of the most highly trained in the country. Our grow process is unique in many ways, and we have it down to a high quality & high yielding science. We work on a continuous harvest model and control all inputs to the process to ensure that our marijuana is consistent from batch to batch. Every person that touches the plant, from clone to cannabis consultant, has a passion and respect for cannabis. We grow up to 70 strains at a time. We do this to ensure that our patients are presented with a great selection every time they shop with us. We continuously research & develop new strains to meet the needs of our medical and recreational customers. Our G6 for sure! The G6 is an energizing sativa and our customers like to smoke it before working out or going to a concert. G6 is a cross between Aspen OG and East Coast Sour Diesel. Other favorites include: Jah Kush, Chem 91, and Purple Dream. 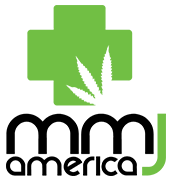 MMJ America was established in 2009, in its premiere Boulder location as a medical dispensary. We then moved into the recreational market in 2014 and expanded for a total of eight Colorado locations plus one in Nevada. MMJ America is also vertically integrated from seed to sale, and we own our own genetics company, The Vault. We've got a medical and recreational location in downtown Denver, a medical and recreational location in downtown Boulder, a medical and recreational location at Sheridan x I-70. We also have two medical locations: one on Cherokee between Broadway and Santa Fe and the Elati location in the Golden Triangle. Our head grower had a deep agricultural background and moved into the cannabis space in his early-adult years. Now he's producing high quality cannabis for us, winning eighteen High Times cannabis awards throughout his years he's been at MMJ America. Right now, we choose which strains to grow based on but market demand, throughout the years consumers have sought different types of boutique strains. Plus we have some favorites from The Vault Genetics. Even if we are growing a common strain, we put our own spin on it so that we can really call it our own. Our most popular strains would be our some of our Larry crosses as well as our Skywalker crosses. CEO Jake Salazar was included in the 2016 Leafbuyer Power List of the Top Business Leaders in the Colorado Cannabis Industry. At Native Roots, we provide the most welcoming and knowledgeable customer and patient experience in the industry. Since our 2010 founding, Native Roots is the most recognized marijuana dispensary in Colorado, providing the best recreational and medicinal cannabis that meets only the highest standards. Curbed recently wrote, "Native Roots isn't just one of Colorado's most successful chain of marijuana shops, it's also one of its best designed." In the past two and a half years alone, we have opened 15 Native Roots stores in Colorado, which has created jobs for more than 600 Coloradans. Each member of our expert staff completes a top-notch training program to provide unparalleled cannabis knowledge and customer service, so no matter what location is visited, customers have a consistent and exceptional experience. Native Roots is the largest and fastest growing dispensary in the state of Colorado. Our original location was in Boulder and we have since expanded to 17 locations and growing, with multiple stores in the process of being opened across the state. Our retail stores have been recognized by publications such as Thrillist for their modern and unique design. Native Roots has a team 100% focused on the production of our cannabis, whose skills and expertise are some of the best in the industry. Trying different techniques to refine the process has provided our team with years of experience in producing high quality cannabis. Whether you prefer extracts and edibles or tinctures and drinks, Native Roots insists on selling only the highest quality cannabis. Our state-of-the-art growing facility paired with our cultivation process has helped expedite the growth of the Native Roots business, as customers have come to expect only the highest quality cannabis flower from us, no matter which location they visit. To maintain the highest consistency possible, we keep the genetics of the flower pure and consistent with Apical Meristem Tissue Culture (TC). At Native Roots, we never settle for less than the best technology available, which ensures that we use the latest and greatest growing techniques and run an efficient facility. Native Roots is always listening to customer feedback about what they enjoy most and what additional qualities they would enjoy in a strain. We then take that feedback and act upon it, providing a variety of strains to choose from. 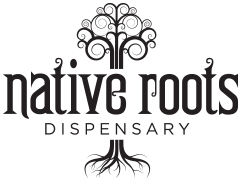 At any given time, you will find at least 10 different strains available for purchase in any Native Roots location, which rotate on a weekly basis. We are committed to creating and offering truly unique strains, as evidenced by our artist series, so we have both classic strains and strains that can't be found elsewhere. With every strain we grow, our number one goal is to provide the safest and best quality product that meets and exceeds compliance in all local and state laws and regulations. Again, we love growing any strain that makes you want to come back for more. Native Roots appreciates the immense variety of benefits that one particular strain can offer patients and clients and we are always working to improve on our strains. Creating and developing new genetics to bring to market is what gives our strain selection a special edge over many other dispensaries. What sets Native Roots apart from others in the industry? Our commitment to education of the communities in which we are located and knowledge of cannabis by our budtenders allow us to stand apart. We have an intensive training program that each of our budtenders must graduate from in order to serve at our locations. This program ensures Native Roots budtenders are the most informed, trusted and educated advocates for cannabis in the industry. Each of our 600+ employees aims to change the perception of marijuana by showcasing the medicinal benefits of the cannabis plant and how it can serve as an alternative medicine. Most proud of being the only cannabis company to make the Colorado's Best Places to Work list in 2016! Josh Ginsberg was #3 in the 2016 Leafbuyer Power List of the Top Business Leaders in the Colorado Cannabis Industry. Natural Remedies started in 2009 as one of Denver's first 15 medical cannabis dispensaries, later entering the recreational/adult-use cannabis market in April of 2014. "Natty Rems" cultivates 100 percent of the flower it sells at its store in two indoor cannabis cultivation facilities. Natural Remedies is truly a one-stop shop as it also produces 100 percent of the concentrate it sells in its state-of-the-art, in-house concentrate lab, Concentrate Remedies. Natty Rems strives to provide the most sought-after and boutique grade cannabis products, utilizing only the highest quality genetics, ingredients, and care. Natty Rems has a single medicinal and recreational store located on the 5th floor of the historic Hitchings building in lower downtown Denver (LoDo). Natural Remedies' owner and head grower had a meeting of the minds with their mutual desire to smoke a wide variety of the best cannabis possible. After failing to find the best of the best around town, they realized there was only one option; grow your own. Our head grower explained, "I didn't have control over the product I was purchasing so I decided that if I wanted the cannabis to be a certain way, I had to do it myself. If you want something done right, you have to do it yourself." From there, he researched and learned the most effective methods of growing, mostly through trial and error and lots of sampling. Our particular feeding program was developed to bring out the best smell and flavor possible; we focus on growing for terpenes. Everything at Natty Rems is hand watered and maintained by hand; we keep it very old school. We focus on producing a wide variety of cannabis for our store shelves; Indicas, Sativas, Hybrids. Aside from variety, we like to focus on growing heirloom OG Kush varieties. There's nothing quite like a well-grown OG strain. We have around 100 different strains in our catalog with an average of 50 flowering at any given time, while constantly researching and growing new strains from our legally-procured seed catalog. Our most popular strain in terms of sales is definitely Natty Rems OG, aka Kurple Fantasy. Our head grower enjoys growing various strains for different reasons. Cookies is a favorite because it's simply a beautiful strain; frosty, purple and dense. 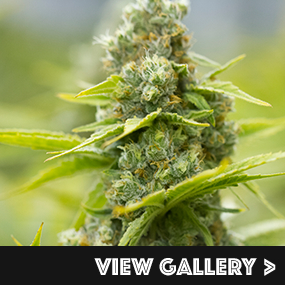 OG Kush can be a challenge to grow and our head grower is always up for a challenge. Long-flowering Sativas are also a favorite because they're a unique treat. Few facilities in Colorado take the time to flower strains for up to 77 days but when we do, the results are unforgettable. Two awards in the 2015 Rooster Magazine Cup including: Third Place Sativa from Bob Saget and Honorable Mention Indica for Dawgs Waltz. The first Starbuds was opened August 2013 in North Denver with the goal of providing the highest qualuity marijuana and marijuana products in the State of Colorado. 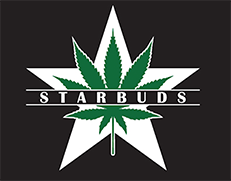 Starbuds quickly expanded to South Denver and Louisville by early 2014 and continues their expansion today. Starbuds currently has seven recreational dispensaries across Colorado. Our head grower was an apprentice for several years at medical grows around Colorado. He learned many different ways to cultivate marijuana and incorporated them to create his own unique grow system that continues to produce the highest quality bud. We use an organic soilless medium, fed with organic nutrients under HID lights. We are always looking for new genetics that have strong tastes, smells, effects, and high potencies. We have a perpetual harvest schedule but every grow cycle, which averages two months, can harvest up to 20-30 strains. Pootie Tang, our High Times Cannabis Cup winning Sativa. Strainwise is a full service cannabis consulting and management company. Its management team has been involved in the cannabis industry for the last 6 years. We provide financial consultation, application preparation, cultivation, processing, dispensary design and buildout, and operational management services in all states where cannabis has been legalized in some fashion. The Strainwise-branded Central City, CO location, The Annies, was actually awarded the first ever recreational marijuana sales license in the world. The Strainwise-supported cultivation facilities employ some of the best minds in the cannabis cultivation business. The growers are educated and trained botanists or plant horticulture specialists, who have learned to grow a number of commercial crops. They understand the plants inside and out. The cultivation facilities use a mentorship program to train up-and-coming cultivators on industry best practices with a heavy focus on compliance. Strainwise-branded cannabis is soil-based, pot cultured, using high intensity discharge lighting. The strains offered in the Strainwise-branded dispensaries are individually selected based on patient need or customer feedback. 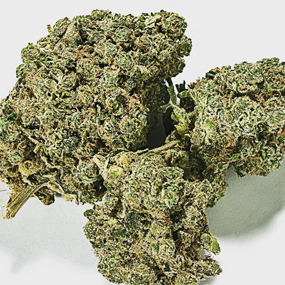 The strain offerings are well diversified to provide a range of high THC strains to very high CBD strains in both indica and sativa varieties. At any given time 45-50 different strains are being cultivated. 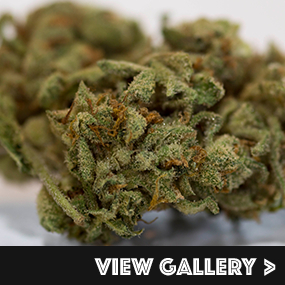 Strainwise-branded dispensaries are known for their Bruce Banner, Blue Dream, and LA White strains. 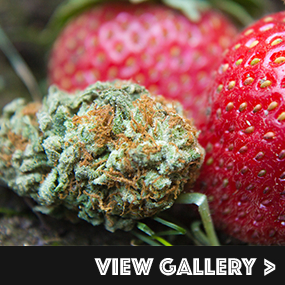 With the passage of Amendment 64 and adult use cannabis legalization, Strawberry Fields devoted our resources to help adults 21+ with reliable high-quality cannabis products at our locations in Pueblo. Our Medical location was founded in 2009 and from there Strawberry Fields opened Strawberry Fields - Pueblo Central in November of 2015 & Strawberry Fields - Pueblo North in April of 2016. We have multiple growers that we use from all over the state. We only select the highest quality products we can find to bring strains in from all over Colorado to the customers of Pueblo. Using multiple growers allows our product to come from an assortment of different methods. Each grower using their own unique method to ensure the highest quality cannabis for our customers. Since we wholesale most, if not all of our product, we don't choose what strains to grow. Although, we always try to have at least 20-30 strains on our shelves at all times to provide our Cannabis Connoisseurs the best selection out there. Space Cream, Girl Scout Cookies, Hash Plant, Headband, and Super Lemon Haze just to name a few. Since we are new to the game down here in Pueblo, we don't have any awards (yet). Our Medical location in Colorado Springs however has won countless awards from The Colorado Springs Independent's "Best Of!" We've sponsored a couple Pueblo based events, they're not awards but we're awarded to be a part of them. Now at over 100 members, the Terrapin Staff family now serves the Communities of Aurora, Boulder and Denver Colorado and Eugene Oregon providing medical patients and recreational consumers with the finest Quality Cannabis, expert product knowledge with a wide selection and affordable pricing since 2009. An industry leader, TCS was the largest single Cannabis industry contributor to the Amendment 64 campaign in Colorado as well as supporting Proposition 91 in Oregon. We are dedicated to expanding patient and consumer rights and working with our elected officials in Colorado and Oregon to ensure access to life enhancing cannabis. Jason Harris hails from the Midwest and comes from generations of farmers. Growing plants is in his blood. He has been learning about it practically since he was born, and it is his passion. He has a lifelong interest in cannabis and cannabis legalization. Terrapin's flower is grown in a soil-less medium that is specially blended to maximize the potential of the plants. We use an ultra high efficiency watering and fertilization system so that nothing is wasted and water usage is kept to a minimum. Constant vigilance, care, and love help our plants to grow big, beautiful flowers. We are always experimenting with new genetic material and we choose strains based on quality, yield and hardiness. We aim to provide a range of THC and CBD potencies and a good blend of indica and sativa dominance to meet the needs of our customers. We grow up to 70 strains at a time between our recreational and medical grow operations. 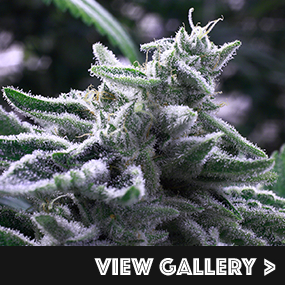 In respect to sales, our most popular strain is White Slipper. This has always been a staff and patient/customer favorite. The next strains that are the most popular are Princess Leia, Lemon Sweet Skunk, Dark Blue Dream, and Hell's Angel OG. It's hard to say which is our favorite strain to grow - they all have unique qualities that we love to see as the plants grow and mature. The diverse colors, floral morphologies, and dense sugary trichomes make growing these plants a lot of fun. 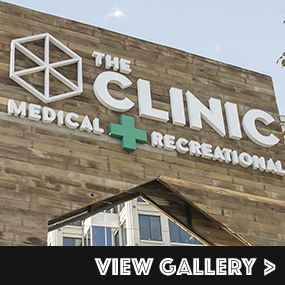 The Clinic opened its first medical cannabis dispensary in 2009 as one of the first companies operating within a medical cannabis program in the nation. The company began with a single goal: to help those in need with safe secure access to medication. The name the Clinic will always represent exactly who we are and how we started - as a medical cannabis company. We continued after the opening of our first cultivation facility and retail location in 2009 to currently operate 8 medical dispensaries, 4 recreational dispensaries, 3 extraction facilities and 6 cultivations across Colorado, Illinois and Nevada. We opened our flagship location, The Clinic Colorado, located at 2020 S Colorado Blvd, in July 2, 2016 in a beautiful, state-of-the-art facility. The Clinic usually has approximately 35-40 strains in circulation however we are always testing out new strains in attempt to better our strain library and selection for our patients/customers. Currently our most popular strains are former award winners such as Kosher Kush, Stardawg Guava, Tangie, Strawberry Banana, Platinum Girl Scout Cookies and Gorilla Glue however we also offer popular classics such as Durban Poison, Strawberry Cough, SAGE, Bubba Kush and high CBD strain pre-98 Bubba which is also an award winner. The Clinic has won 65 awards for cannabis flowers, concentrates and charitable contributions making us the most awarded cannabis dispensary in Colorado and quite possibly beyond. Among the awards are 1st place wins at the High Times Cannabis Cup, The Hemp Connoisseur Championship, the 710 Cup, Rooster's THC Classic and National MS Society Walk MS contributions. Also, founder Max Cohen was included in the 2016 Leafbuyer Power List of the Top Business Leaders in the Colorado Cannabis Industry. 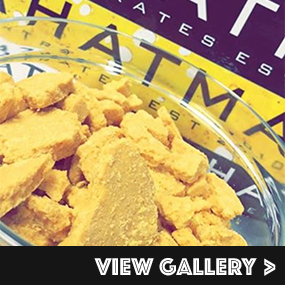 Craft was started in 2015 with the goal of producing the highest quality concentrates and edibles in the State of Colorado. The company has built a recognizable brand that is synonymous with premium quality and is sought after at more than 350 dispensaries across the state of Colorado. The company produces various types of concentrate products using both it's own in-house grown marijuana as well as processing customers plant material. How many stores are you in right now? What methods do you use to extract? Where do you get your flower? CRAFT produces various types of concentrate products using both it's own in-house grown marijuana as well as processing customers plant material. The in-house grown products are sold under the "Panacea" name while the processing service business does white-label product manufacturing. The Sesh line is produced after our head cultivator visits top of the line grows all over Colorado and hand picks the best nug's. These nug's then get extracted to produce our wholesale recreational line. Craft only processes high quality material to ensure a safe and clean product for the consumer. What is your newest and/or most popular product? Releasing in late October we have our new edible line The Sweet Spot made with the finest distilled oil. You will find flavors like our Milk Chocolate & Peanut Butter Melty, Mixed berry Pot de Fruit, and Salted Canamel with Colorado Honey. 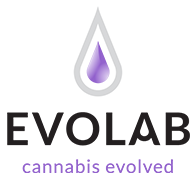 Evolab was founded in 2009 in Denver, Colorado. We created the world's first suite of cannabis specific pharmaceutical-grade extraction technologies. We produce exceptionally pure oils, without the use of any cutting agents. Our proprietary technology is designed to preserve the compounds of the whole plant, because we know it takes all the elements in cannabis to make THC great. CO2 only for extraction. We also use a variety of analytical and refinement processes. We purchase material from our trusted trim suppliers. Each supplier goes through a rigorous quality screening process that includes vetting the cultivation facility and running multiple test batches to ensure quality results. Once we on-board a suppliers, each delivery goes through a quality control protocol that includes testing for pesticides, potency, and terpenes. FreshTerps is a brand new, one of a kind product. It's the first full-spectrum cannabis derived terpene product on the market in Colorado. 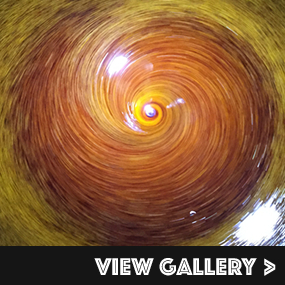 Rooster Cup 2016 Best Concentrate for Alchemy. Angel Salve 2015 High Times Cannabis Cup best topical. GH Labs is a cannabis concentrate and infused product manufacturer. Our intense focus on cannabis infusion is what sets us apart from the competition. We strive to make purposed products that fit the needs of our customers. We are currently in 35 store across Colorado. We have always been PG and VG free. We use CO2, butane, and propane as solvents for our extractions. We have our own grow, and we source from local trim. Our most popular products are CO2 pens and BHO and PHO concentrates. No awards have been won, but we have been featured in Culture for our CO2 shatter. 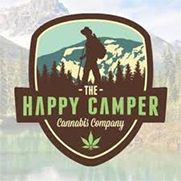 The Happy Camper Cannabis Company opened the doors of both its retail dispensary and the concentrates processing facility in Bailey Co. on March 5th, 2015. We originally intended to build out our space as a grow facility, but the concentrates line was so well received and grew so rapidly, that we decided to halt construction on the grow and focus solely on extractions. We then set our sights on being the best, as opposed to the biggest, with a strong emphasis on small batch artisanal quality. As a result, we have seen steady growth every month since opening and have had to double the size of our extraction lab twice in the last 18 months to facilitate the increase in production. You can find The Happy Camper Concentrates in over 20 retail locations throughout the state, and we expect that number to grow substantially over the next year. We currently produce both BHO and PHO, and we are in the R&D phase of a distillate product that we hope to have on store shelves in the coming months. We make no compromises when sourcing our trim and flower, and work only with the most respected grow facilities to ensure a superior final product. The most popular product we create is our shatter. 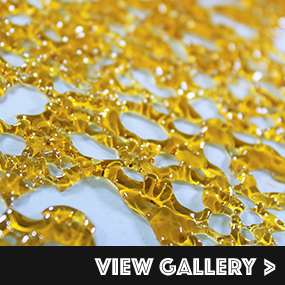 Our shatter has better clarity, and consistently tests at higher potency, than any of our competitors' products. The THC potencies of our shatters regularly reach into the 90's, and we recently produced a shatter that tested at 99% total Cannabinoids! Karing Kind Labs was a medical dispensary that became the first recreationally licensed manufacturer in Boulder. We've been researching and developing CO2 extracts for almost six years now, and we've only been to market for the last couple of years. Our main goal has always been to provide clean and safe products derived from our intelligently-grown, organic methods. We just wanted to translate our normal organic methods to our concentrate products using Co2 - the safest and cleanest extraction system since there's no byproducts, no harsh chemicals, no residual solvents of any kind. Co2 has been widely used for extracting essential oils for decades. We're in close to 50 stores across the state. We had studied a lot of extraction methods - we tried butane, dabbled in propane, and also looked into alcohol extractions, glycerin & acetone extractions. The bottom line came down to this: we wanted a clean and safe product that didn't use any harsh chemicals as well as we wanted a facility that wasn't at risk of hurting employees from blowing up. We found that Co2 provides clean and non-toxic extracts. We grow upwards of 90% of all the flower we use in our extractions to maintain quality control - to insure the organic methodology of the product. It's important that the base product we're using aligns with our philosophy. We started with general sativa, hybrid, and indica versions, then created strain specific and high-CBD versions. Our newest product is Terpene Rich, which is what people are really looking for that extra boost of flavor and effects. We've found that there is no reason to take terpene out and put them back in, so what we do is a dual-ended process; in the beginning we strive to leave as many of the original terpenes in the extract as possible, because typically when you're extracting terpenes out you're using some sort of solvent. Our philosophy is "no chemicals," so we try to leave those terpenes in as well as add a unique blend of organically-derived terpenes for a really unique flavor profile - its going to be a bit more unique than most of the terpene stuff on the market. Not yet. We haven't really participated much in any big award events yet, and most competitions seem to be only looking at solvent-extracted shatter and wax. An award winning concentrate company started in 2010. We were the 1st concentrate company to do full flower extraction (our Platinum line) and the 1st concentrate company to have their own grow. We have been developing new extraction techniques for 6 years and are pushing forward in new and innovative processes. We grow our Platinum line. We purchase quality trim from reliable sources. Mahatma also does 2nd party processing. Quantum Concentrates is a collective of like-minded professionals who are revolutionizing the medical marijuana industry. Our mission is to establish a new, higher standard for marijuana extracts. Our goal is to deliver the purest, most potent concentrates available on the market today, while developing the most effective technology and delivery methods to offer our patients the fast-acting relief these products can provide. Our strategic partnerships with experts at the cutting edge of clinical MMJ research empowers Quantum Concentrates to be at the forefront of emerging extraction systems, innovative delivery devices, and new proven-effective technologies. Within the coming weeks Quantum will be launching our recreational line and introducing innovative, new products and technologies that will revolutionize the marijuana market. 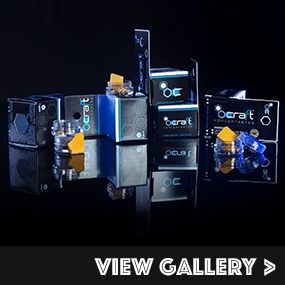 Our most popular product is live resin vape cartridges. Our newest and quickly becoming a very popular products is our Q-Vape Rx line that contains various ratios of CBD. No, we don't believe in rewards awarded by a few judges. We prefer to stand behind our customers' testimonials. 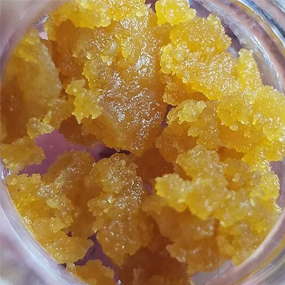 During the infancy of the medical cannabis industry here in Colorado, The Lab originally began as the exclusive concentrates department of The Clinic. 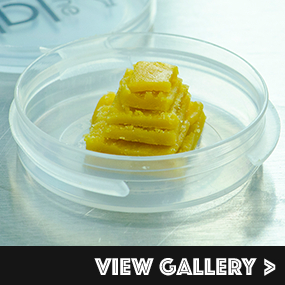 However, over the last several years The Lab has expanded tremendously to offer award winning concentrates and extraction services to dispensaries across Colorado. The Lab has provided extraction services for over 150 dispensaries in Colorado. The Lab's most popular product is live resin and the latest thing to hit shelves are The Lab's Live Resin Pods made exclusively for the new PAX Era extract pen. The Lab has won over a dozen awards including multiple awards at the High Times Cannabis Cup, THC Championship, the 710 Cup and more! We are a smaller company that focuses on higher quality extractions. We push the edge on new and better ways of extracting using the whole plant and leaving very little waste. Compliance, quality of our product and customer care are the most important things to us here at Viola. Our most popular product is our Live Resin, we are getting to release our distillate, terps and our pen cartridges and we are excited about all of them. None from our garden, but have processed a 2nd place Cannabis Cup winner from the past Denver Cup, A first place run for the Rooster Classic.